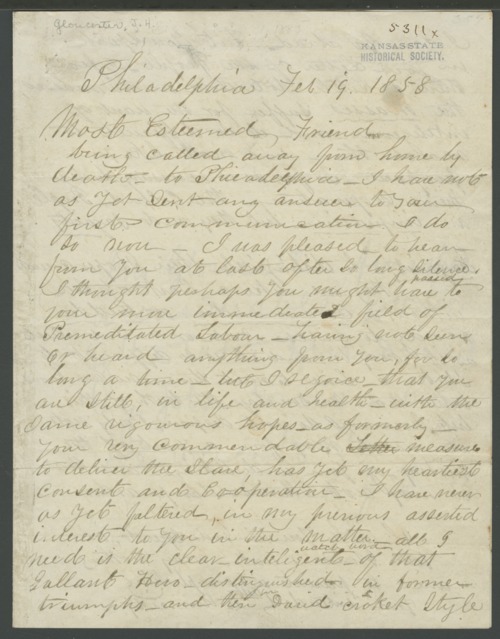 A letter from James N. Gloucester, Philadelphia, PA to John Brown. Gloucester, the son of a former slave, writes in support of Brown's efforts to free slaves. He feels that African American people are impulsive and they need leadership to distinguish their proper course. Gloucester invites Brown to stay at his house.